Geothermal Energy the savior of Salton Sea, by Alexander Schriener Jr.
Units 1 and 2 at Salton Sea geothermal field, Imperial Valley CA. View from Obsidian Butte looking south across the declining Lake. Over the next two years SRI will continue geothermal mineral recovery research – initiated two years ago via the Energy Department’s Geothermal Technologies Office – focusing on advances in lithium recovery from geothermal brines using ion-imprinted polymers. Lithium is among a class of elements that plays a vital role in many clean energy technologies, including solar, wind, electric vehicles and energy-efficient lighting. SRI’s original efforts centered on extracting lithium and manganese from potential geothermal sources. 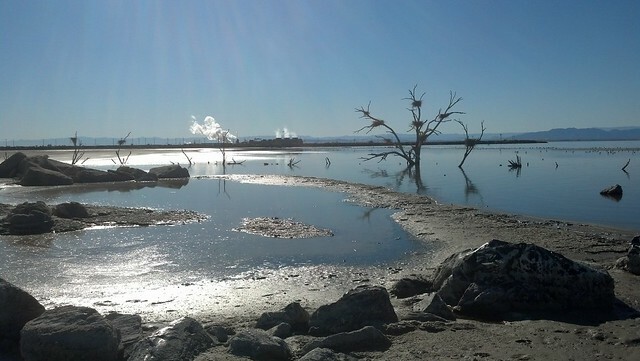 Going forward, their research efforts will focus on lithium recovery from the geothermal fluids extracted in California’s Salton Sea region. Under the DOE award, tests showed that lithium separation via ion-imprinted polymers is highly effective – in one process, more than 90% of retrievable lithium was separated from a test brine. The Kenya Electricity Generating Company (Kengen) will mid this month start building a 140 megawatt steam power plant at Olkaria after securing funding from the Japanese government. The Japan International Co-operation Agency (JICA), a State organisation, has lent the power generator ¥45.7 billion (Sh40 billion) for the Olkaria V project which involves putting up two geothermal power plants of 70 MW each. Electricity from the project is expected to be fed into the national grid at the end of 2018. KenGen’s managing director Albert Mugo said drilling has already been completed. The KS Drilling rig is now being rigged up on pad E in Sorik Marapi Indonesia. Dati Parker are just about to finish their first well on pad A. Exciting times ahead! - Eiríkur Bragason, CEO at KS Orka. All the geothermal plants owned by KenGen are the single flash condensing type. The flashing process yields brine that contains mineral elements like Silica that could have commercial application. The abundant minerals in the brine are Silica and Lithium with other elements present in traceable amounts. The average Silica concentration in the brine ranges from 600-800 mg/kg with Lithium content averaging at 1.5- 2 mg/kg. The total brine is estimated at 2700 tonnes/hr occurring in several streams that are scattered in the Olkaria geothermal field. At a brine flow of 2700 tonnes/hr, the average Total Dissolved Solids (TDS) of the brine is 2000 Parts Per Million (ppm) with an average potential of Hydrogen (pH) of 8-9. KenGen invites expression of interest from eligible consultant firms to provide services and technology for mineral extraction from this geothermal brine. The application must be dropped in the tender box located on the ground floor of Stima Plaza III, at the KenGen HQ, on or before 17 January, 2017 at 10:00 East African Time. 7 December, 4pm, Benson Earth Sciences Auditorium (Room 180), University of Colorado, Boulder. This video is an update on the evolution of Geothermal Development Initiative in the Comoros. The new Government is committed and have a comprehensive resource mobilization strategy to finance its national development priorities on energy.The United Nations Development Programme is supporting this initiative with other partners as African Union, New Zealand and the Global Environment Facility. Ormat Technologies, Inc. today announced that ORNI 47 LLC successfully issued and sold $92.5 million in aggregate principal amount of its 4.03% Senior Secured Notes due 2033. The Senior Secured Notes were issued in a private placement transaction exempt from the registration requirements of the Securities Act of 1933, as amended, and were purchased in total by MEAG, the asset manager of Munich Re. The Senior Secured Notes were assigned an investment grade rating of BBB- by Kroll Rating Agency. "We are pleased to finalize this financing transaction for Don A. Campbell Phase I, enabling Ormat and Northleaf to benefit from favorable terms. This financing demonstrates Munich Re's confidence in geothermal projects operated by Ormat,” said Mr. Isaac Angel, Chief Executive Officer of the Company. The Philippines Energy Department approved the transfer of an 80-percent stake in the Iriga geothermal service contract from Basic Energy Corp. to local company Desco Inc. Basic Energy signed the deed of assignment to Desco for an 80-percent stake in the Iriga service contract in January, subject to regulatory approvals. Basic Energy will own the remaining 20 percent in the service contract. Under the approved terms, Desco will undertake for and on behalf of the consortium the geophysical activities, including the conduct of a magneto-telluric survey, and all other steps required to bring the project to drilling. The Iriga, Camarines Sur geothermal area is bounded in the north by the Isarog geothermal block of PNOC Renewables Corp. The Kenya Electricity Generating Company (KenGen) is eyeing the sale of valuable minerals such as silica and lithium found in geothermal fluids as a strategy to diversify its revenue base. The State-owned power generator is seeking a consultant to assess the feasibility of extracting minerals from the hot brines — the waste stream that geothermal power plants pump out of the ground. KenGen managing director Albert Mugo said the firm is turning to innovation to exploit the minerals found in geothermal fluids which come from rocks below the earth’s surface. “We want an expert to establish the technical and financial viability of this project.” Mr Mugo told the Business Daily. He declined to offer any timelines or capital commitments, saying it is still “very early” in the project cycle. “If found feasible, we’ll go ahead,” he said. BHE and its subsidiaries have not made many headlines, but their presence has been felt in high-profile solar proceedings, federal power regulations and the Western energy market. Beyond solar, BHE’s utilities have also played a major role in expanding the Western Energy Imbalance Market, as well as having an outsized influence on reforming federal regulations like PURPA. BHE Geothermal operating as CalEnergy, owns 10 geothermal facilities with 338 megawatt capacity in California’s Imperial Valley. Environmetals Limited (EVM) is presently engineering the first commercial application of its technology to extract silica from geothermal-electricity-waste fluids. After operating successful pilot plant operations to produce colloidal silica at two geothermal fields at Wairakei NZ and Kawerau NZ, EVM is now preparing to build and install the first 5,000 tpd commercial extraction plant at Kawerau. This is expected to be completed later in 2016. It should be noted that the pilot plant was not a sub-scale plant but rather a sub-module of the commercial plant, so reaching scale involves adding additional sub-modules. EVM’s extraction and processing equipment removes silica from the waste geothermal fluids (after the generation of electricity) and creates colloids in the range of 8 – 16 nanometres with a concentration of 30 – 40% silica by weight. Three provisional patents have been filed covering all EVM developments over the last five years, creating a robust Intellectual Property platform. Geothermal electricity generation is predicted to grow as a renewable energy resource, but the presence of dissolved silica in geothermal fluids can be a limiting and costly issue for the power plant. Kamojang unit I geothermal plant in Bandung, West Java, is expected to resume operations in October next year following its turbine damage in April 2014, an official has said. Pertamina Geothermal Energy's (PGE) Kamojang plant maintenance manager Faiq Kautsar attributed the damaged turbine to its expired shelf life, saying that the turbine had been operating 32 years past its shelf life. Faid was quoted by Antara news agency as saying that the replacement and building process of the geothermal turbine needed more time compared to conventional ones as the turbine parts needed to be compatible with geological substances. 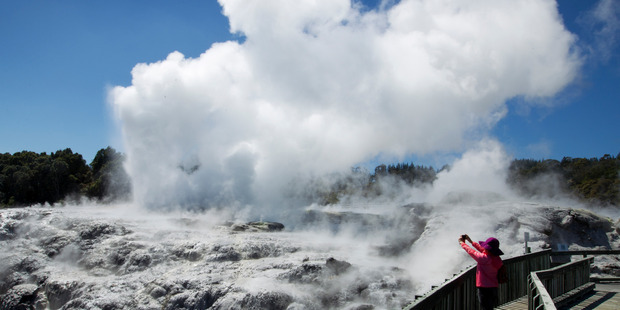 The spectacular eruption of a geyser near the shores of Lake Rotorua comes as scientists are discovering stunning new insights into the city's famous geothermal backdrop. Scientists say there isn't any evidence to link the eruption - which sent water gushing up to 30m into the air near Rotorua's Ohinemutu village early on Monday - with this month's earthquake activity. GNS Science volcanologist Brad Scott said it was also too early to draw any connection with the gradual return of surface features within the Rotorua Geothermal Field that has followed the closure of bores in the 1980s. Former Italian prime minister Enrico Letta conveyed Italy’s interest in boosting economic ties and investing more in Indonesia in Jakarta on Monday. Letta founded the Italy-ASEAN Association and was prime minister of Italy from 2013 to 2014. “Next year, we want to invest more in Indonesia. We are not troubled [by domestic matters in Indonesia] and we are sure that Indonesia can overcome this present turbulence,” said Letta, adding that Italian companies were very much interested in investing in various sectors, including in infrastructure, energy and automotives. “Our country is at the top with geothermal renewable energy technology. So we think that we can have very good joint cooperation in this area. We want to help them invest, not to sell goods only,” he said. The SCPPA PPA will supersede Ormesa’s current 30-year Standard Offer Contract No. 4 (SO#4) with Southern California Edison that has a variable energy rate tied primarily to volatile natural gas prices and that will expire on November 29, 2017. Under the terms of the PPA, energy from the Ormesa complex will be sold to SCPPA at a rate of $77.25 per megawatt hour with no annual escalation. 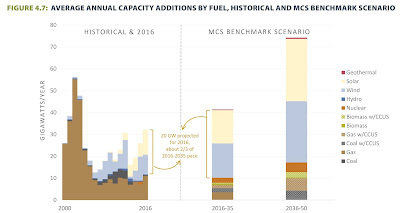 Contract capacity is 35 MW, with a maximum generation equivalent to a net capacity of about 43 MW. SCPPA will resell about 86% of this power complex’s output to the Los Angeles Department of Water and Power (LADWP) and the remaining 14% to the Imperial Irrigation District (IID). Canoe Reach Energy Inc. is a Canadian corporation and subsidiary of Borealis GeoPower Inc. focused on developing geothermal projects throughout the Valemount (Robson Valley Region), BC area. Canoe Reach Energy is an Alberta corporation and is extra-provincially registered in British Columbia. The University of Hawaiʻi is saddened by the news that former Regent Barry T. Mizuno passed away on Saturday, November 26. As onsite manager for the Puna Geothermal Venture, he oversaw the project in its infancy from 1992 to 2006, and then “retired” to form his own private energy consulting firm, BTM LLC. Mitsubishi Hitachi Power Systems Ltd. (MHPS), a venture between Mitsubishi Heavy Industries Ltd. and Hitachi Ltd., is eyeing Africa and Latin America to export its geothermal turbines, hoping to supply equipment for projects backed by Japan’s aid agency. The company, which announced winning an order in October to supply a 55-megawatt turbine for a project in Costa Rica, is looking at countries like Kenya, Ethiopia, Mexico, Nicaragua and Ecuador, Yoshio Minato, geothermal area manager for Yokohama-based MHPS, said in an interview. In Asia, the venture is focusing on the Philippines and Indonesia, according to Minato. 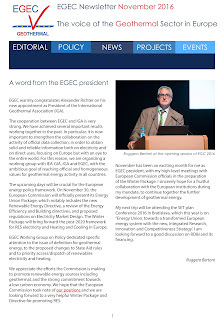 The November issue of the EGEC Newsletter is now available. The central North Island is known for its hydrothermal activity, but GNS Science is calling the latest movements on Lake Rotorua "unusual". Deep rumbling and geysers of up to 30 metres saw some Ohinemutu locals head for the hills yesterday, believing the lake was about to blow. Volcanologist Brad Scott says the activity is unexpected as there hasn't been anything for 15 years. 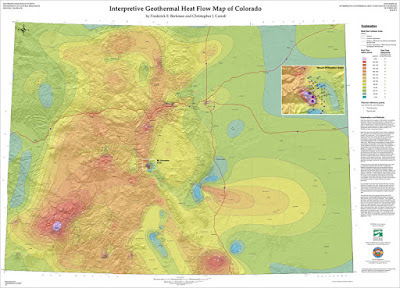 "Hydrothermal eruptions are pretty significant. They're quite violent, they're quite hot. This one was fortuitously was offshore - it wasn't in the built-up area. They can be damaging and they can be dangerous." The Rotorua Lakes Council said the geyser was "spectacular but not a concern". Mr Scott says it's almost impossible to say whether the activity is a precursor for a bigger explosion. In its effort to support national authorities in developing their National Heating and Cooling Plans, the project consortium produced a report that quantifies the impact of implementing various energy efficiency measures in the heating and cooling sectors of five EU Member States: Czech Republic, Croatia, Italy, Romania, and the United Kingdom. The construction of three three steam power plants at the Menengai fields are set to start following a a Sh114.9 million deal between the Geothermal Development Company (GDC) and the forests regulator. Kenya Forest Service (KFS) has been paid the Sh114.9 million, backdated to 2014, because it owns the Menengai geothermal site where GDC is drilling steam wells and has already contracted three companies to build power plants. The building of the three power plants under a build–own–operate (BOT) model — each with a capacity of 35 megawatts — has suffered multiple delays attributed to land acquisition headwinds. “We have now concluded the lease agreement and paid. We are now issuing sub-leases to the power producers,” said Johnson Ole Nchoe, chief executive at GDC. View from MARS, by Robert Zierenberg. View from the Mid Atlantic Ridge spreading center where it come ashore on the Reykjanes Peninsula. The temperature of the Icelandic mantle from olivine-spinel aluminum exchange thermometry, by S. Matthews, O. Shorttle, J. Maclennan. Construction of a geothermal power plant in southern Armenia near the town of Sisian with 30 MW capacity will cost about $100 million, Deputy Minister of Energy Infrastructures and Natural Resources Hayk Harutyunyan told journalists today. According to him, geothermal exploration is now underway at the site. "We have drilled the second well reaching the depth of 1,675 meters and we can say that the well has a geothermal resource where we can build the station, which will use the underground hot springs", said Harutyunyan. He said when built it will be the first geothermal power plant in the region. In an attempt to attract investment in geothermal exploration in Indonesia, the central government decided to remove a land tax for companies that explore geothermal energy resources through a new decree. In 2017 this land tax will be scrapped for all companies that hold a geothermal business permit and are still in the exploration stage. According to information released on the website of Indonesia's Finance Ministry companies are entitled to a 100 percent tax reduction in land tax each year, for up to seven years. Ormat Technologies, Inc. has announced that its wholly-owned subsidiary, Ormat Nevada Inc., closed a follow-on equity transaction with Northleaf Capital Partners. Northleaf purchased a 36.75% equity interest in the second phase of the Don A. Campbell power plant for a purchase price of $44.2 million. The 20.5 MW second phase of the Don A. Campbell geothermal power plant commenced operation in September 2015 and sells its electricity to Southern California Public Power Authority under a 20-year Power Purchase Agreement. Following the closing, the power plant was contributed to the existing ORPD joint venture, as agreed upon under the terms of ORPD's limited liability company agreement executed by Ormat and Northleaf on April 30, 2015. The purchase price of $44.2 million implies a total transaction value of approximately $120 million and represents approximately 11.5x multiple on the second phase of Don A. Campbell’s 2016 estimated EBITDA and adjusted EBITDA. The United Nations Economics Commission for Europe has adopted a standard global classification scheme for geothermal energy use developed by a team at Cranfield University in south-east England. A pizzeria in Naples matures their low-yeast pizza dough in caves of tuff for up to 36 hours. The resulting geothermal pizza has been selling like hotcakes in the birthplace of Italy’s iconic dish. An iconic outdoor lido will become the first facility of its kind to be partially heated by geothermal energy, thanks to a £1.4m grant from the EU. The project, run by industry experts Geothermal Engineering Ltd (GEL) and the local community, will run at the Jubilee Pool in Penzance, Cornwall, which has recently undergone major renovations and repairs after suffering massive damage in the infamous 2014 winter storms. Visitors will be able to enjoy a section of the pool which will be heated using the geothermal energy while the majority of the space will maintain its normal temperature. Kenya Electricity Generating Company (KenGen) has been awarded the 2016 JICA President Award for its flagship green energy project, Olkaria I Units 4 and 5. Awarded by the Japan International Co-operation Agency (JICA), the Presidential Award is given to an individual or organisation that is associated with JICA and whose contribution in the field of development is recognised to be of immense significance in development of human resources, society and economy in developing countries. The Olkaria I Units 4 and 5 is among eight projects and five individuals that have been recognised in 2016. The 140 MW geothermal power plants were funded by JICA in collaboration with various development partners. 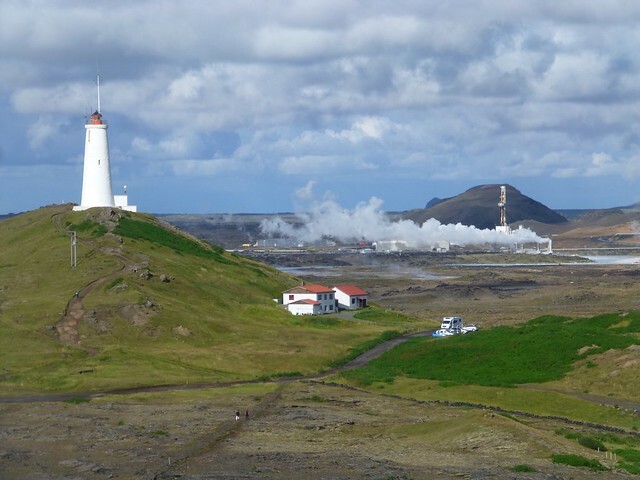 The cable is estimated to stretch 1600 kilometers between Iceland and to Scotland and Sky TV reported that energy from Icelandic volcanoes will heat up British homes by 2022 if things go according to plan Morgunblaðið reports. Edmund Truell has been instrumental in the project since 2014 and there is great interest from investors, Truel maintains that the submarine cable and Icelandic energy is much cheaper and more efficient than other options, he names the nuclear power plant in Hinkley Point in Somerset. Truel has been working on the project for the past two years and had the support of former Prime Minister David Cameron for the project. Cameron was looking into the reliability of the cable and the project as a whole before he left office earlier this year. The Guam Power Authority (GPA) has managed to whittle down the latest round of renewable energy bidders from the initial 12 to just seven qualified proponents. A total of 60 megawatts are available for companies and organizations to take up as part of the utility's second phase of renewable energy integration. Most of the qualified bidders are proposing solar energy and one has even proposed geothermal energy. Wind energy may have potential on Guam, a U.S. island territory in Micronesia, in the Western Pacific, but the island has limited geothermal energy resources. This hasn't prevented one company from suggesting up to 10 MW in geothermal power. The concern with geothermal, according to GPA General Manager John Benavente, is that few entities – including GPA – have been willing to expend the cost needed to explore such energy sources. The cost of a geothermal plant would be determined by the depth of the heat source and there are several other variables to consider, Benavente said. What is certain, he added, is that contracting for geothermal energy would require some type of sunset provision in case it takes too long to utilize the technology. A World Bank team is visiting Saint Lucia this week, as part of a support mission for the country’s geothermal resource development project. The World Bank group is coordinating efforts to mobilize USD 15–18 million of grant and concessional funding for the project. Officials of the ministry of sustainable development say government continues to move with urgency towards developing St. Lucia’s geothermal resource. Hydrogen chloride in superheated steam is neutralized by contacting the steam with a solution containing potassium carbonate. A solution of potassium carbonate will remain liquid when contacted by steam superheated by as much as 40°C and, unlike sodium carbonate, the degree of superheat of a saturated solution of potassium carbonate increases with temperature. Other highly soluble potassium salts or salt inhibitors can be added to prevent precipitation of solid potassium chloride which may occur under certain conditions, or a small amount of additional water can be added to keep the potassium chloride in solution while allowing the steam to remain superheated. Injection of potassium carbonate solution downhole in a dry steam geothermal well to protect the well casing from corrosion is especially beneficial, because only a small amount of carrier water needs to be injected together with the potassium carbonate, whereby the steam remains superheated and the possibility of localized corrosion is avoided. The country of Nicaragua is heavily investing in renewable energy projects. One of these projects is the geothermal power plant in the Cordillera de Maribios mountain range, a 70-km-long active volcano chain lining the Pacific’s Ring of Fire. The US-based company Ram Power executed the project. The geothermal brine is extracted at well pump stations that are miles away from the central control building. The process application that controls each well pump is designed as a self-contained Control-In-the-Field (CIF) system. 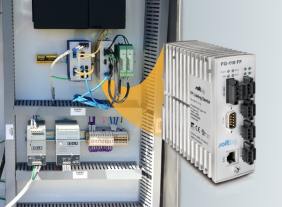 The CIF concept is at the heart of FOUNDATION Fieldbus technology and does not require the use of a PLC/DCS system. Dajin Resources Corp. has staked 690 placer claims at Gabbs Valley, located north of the Don Campbell geothermal power plant, in Mineral county, Nevada. These placer claims cover 13,800 acres (5,600 hectares) in the lower-elevation western portion of Gabbs Valley where a playa (salar) with surface salt and mud flats occurs. The Gabbs Valley playa is considered to be a viable prospect for subsurface lithium brines for the following reasons: (1) it is a deep, closed basin in a dry, desert environment, (2) geothermal activity is known to occur on all sides of the playa, including the south end where the operating Don Campbell geothermal power plant is located, and (3) potential lithium source rocks are found throughout much of the catchment basin. A NetZeroPlus heat pump produces twice as much renewable energy as the whole house will consume for all end uses, surpassing the definition for ‘net zero energy' and classifying the building as ‘zero emission' if the consumed power is zero-carbon or if GHG emission offsets are purchased. 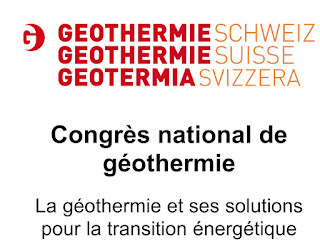 The industry has suffered from marketing confusion by using technology terms such as geothermal, earth energy, GeoExchangeTM or ground source heat pump, and International Ground Source Heat Pump Association (IGSHPA) Canada decided to promote its energy and environmental contribution, not its technology. Today, the Honourable Catherine McKenna, Minister of Environment and Climate Change, announced an important part of the vision for a clean-growth economy: the acceleration of the transition from traditional coal power to clean energy by 2030. Traditional coal-fired electricity does not use carbon capture and storage to trap carbon dioxide and store it. The accelerating phase-out of coal power will significantly improve the air quality and the health of Canadians. These actions will reduce Canada's greenhouse gas (GHG) emissions by more than five megatonnes, in 2030. This reduction is the equivalent of taking 1.3 million cars off the road. The Government of Canada will support this transition by using the Canada Infrastructure Bank to finance projects such as commercially viable clean energy and modern electricity systems between provinces and territories. Canada will attract global investments that grow the economy and create good middle-class jobs by providing investor certainty and a clear signal to the market that Canada is a leader in clean energy. The regulatory actions announced today will put Canada on a path to move from 80 percent towards 90 percent non-emitting sources by 2030. Clean electricity will power cars, businesses, and homes across the country. By building a smart, integrated, clean-electricity system, we will deliver reliable and affordable power where it is needed. From 14 to 19 November 2016 the Kick-off Meeting for the European-Mexican project GEMex took place in Morelia, Mexico. GEMex is a cooperation between a European consortium of 24 partners and a corresponding consortium of 9 Mexican partners and is funded by the European Union and the Mexican Ministry of Energy. 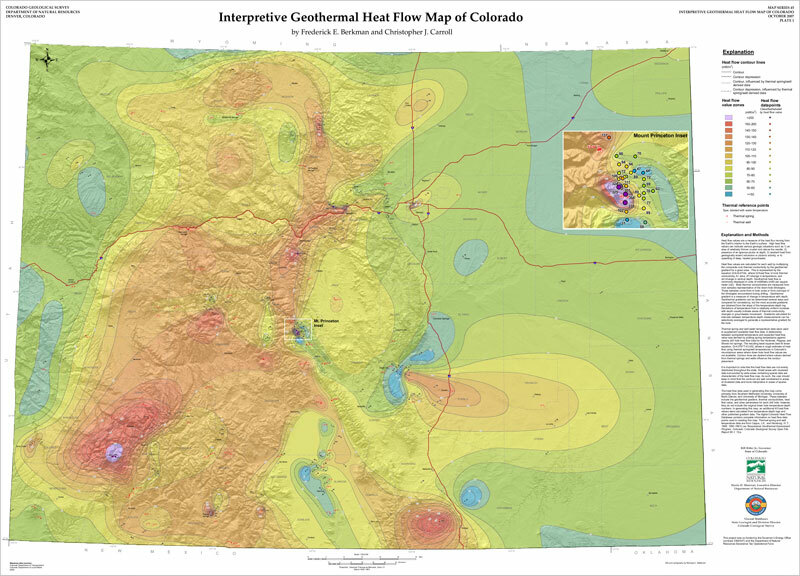 Two sites with “unconventional” geothermal characteristics have been selected for the studies, Acoculco, a Hot Enhanced Geothermal System, and Los Humeros, a Superhot Geothermal System. ThermaSource Drilling, LLC is selling off a drilling rig that has been used in drilling geothermal wells. 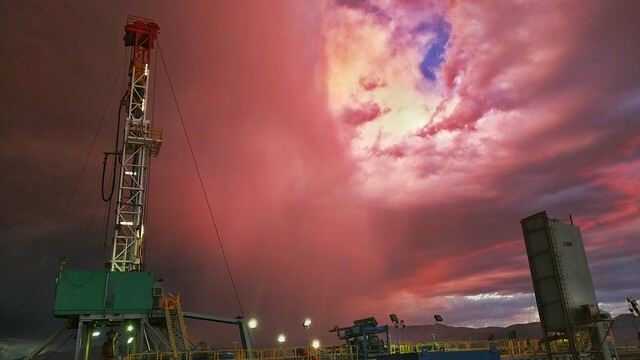 The rig is currently located in Calpatria, by the Salton Sea in the ImperialValley in Southern California. Drilling Rig, 15,000 Ft. Drilling Depth Rating, w/ Pumps, Mud System, Rotary Table, Drilling Line, Generators, Air Compressors, Traveling Blocks, Wire Line Unit, Air Winches, Swivel, Accumulator, Cat Walk, Instrumentation, & Drill Pipe, Rig 102, Used. Located in Calipatria, CA. Yes, it's that time of year again! Autumnal weather has set in across the Golden State this week. Occasional rain and resulting fog has been the norm for the last week. The California Independent System Operator (CAISO) measures the output from renewable energy providers to the State grid. As you can see in the graph on the left it never got windy in California yesterday. There was enough sun to energize solar panels for 11 hours. The weather wasn't cooperating. In fact, yesterday in California, geothermal energy was the biggest provider of electricity to the CAISO grid, with almost 23,000 MWh. Solar energy (PV and thermal) peaked at 11 in the morning and only supplied 21,000 MWh. ON Power, the operator of the Hellisheidi geothermal power plant in Iceland expects additional investment need of $221 million over the next 6 years, to maintain operating at the installed capacity of 303 MW electric. The power and the light no. 1, by Christopher Mathews. Aurora borealis and cooling towers at Hellisheiði Power Station, Iceland. August 31, 2016. 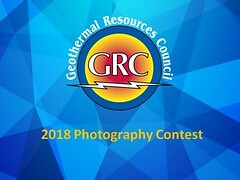 GRC Photo Contest 2013. Already planned in the overall set up of the 303 MW Hellisheiði geothermal power plant, ON Power – the operator – now needs to actually drill additional wells to maintain its operating capacity. The steam supply in the Hengill geothermal area that fuels the plant is decreasing at around 2.3% every year. With an installed capacity of 303 MW the plant is currently operating with an output of 276 MW. With geothermal energy in Iceland, hydropower in Norway and wind energy in the Faroe Islands, Europe is well on its way to decarbonizing its energy systems. The North could become the “green battery” for Europe through an integration into the European energy market, according to Hallstein Havåg, the director of policy and research at the environmental organization Bellona. “This could help us save the Arctic by decarbonizing our energy systems.” It could also boost the economic development of Arctic countries. 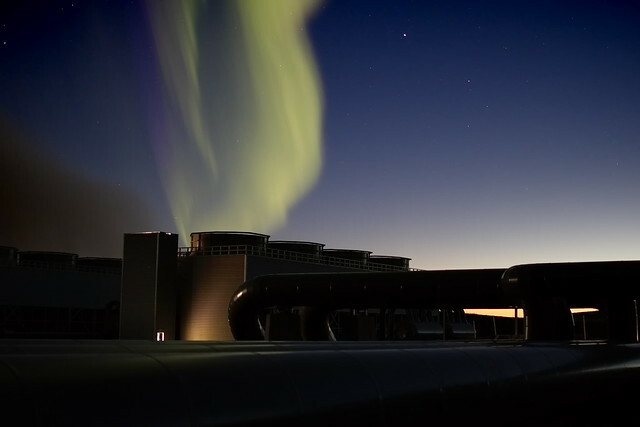 The North Atlantic Energy Project is investigating how isolated energy systems in the region can be connected, such as creating a renewable energy network between Norway and Greenland. The project has allowed an enormous exchange of knowledge between regions. One area of research has been on how to connect the U.K. and Iceland. Eight reports on different issues have been presented and made publicly available. In talks with the U.K. government, no decision has been made yet, but a lot of uncertainties were eliminated. Under the letter agreement, Enel Green Power North America, Inc. (EGPNA) and GE Energy Financial Services intend to close a transaction that will see EGPNA sell a 1% stake in EGPNA REP to GE Energy Financial Services at a price to be fixed at a later stage, as well as to revise their partnership agreement, creating an equally owned joint venture. Upon completion of the transaction, the Enel Group will deconsolidate EGPNA REP’s debt (approximately 500 million US dollars) and installed capacity. Enel Green Power North America, Inc. operates the 13.4 MW Salt Wells geothermal power plant in Nevada, the 59.5 Stillwater Hybrid Geothermal/Solar plant in Nevada and the 25 MW Cove Fort plant in Utah. Out of the total amount, $16.4 billion is for wind energy, $7.4 billion for solar energy, $3.4 for geothermal, and $560 million for the hydroelectric field. A World Bank team will be visiting Saint Lucia from November 21 to 23, 2016, to conduct an implementation support mission for the Saint Lucia Geothermal Resource Development Project. A series of sessions have been planned from November 21 to 23, 2016 involving officials of the World Bank, Saint Lucia Electricity Services, Clean Infra partners and the Government of Saint Lucia. The main objectives of the meetings are: to obtain an update on the current status of the project, confirm the proposed drilling programme and to determine and confirm project design as well as to discuss the prefeasibility assessment and the environmental and social aspects of the project. The next phase of geothermal exploration operation includes the implementation of an initial exploration drilling programme and associated well testing, aimed at exploring and harnessing geothermal energy in Saint Lucia. To this end, the World Bank Group is coordinating efforts towards the mobilization of USD15-18 million of grant and concessional funding for the Geothermal Resource Development Project, in order to reduce overall project costs on the government and the tariff to consumers. Saint Lucia`s Geothermal Development Project is forecast to supply between 15 MW to 30 MW of base load and expected to be operational by 2023. The Iceland School of Energy is excited to announce that Dr. Juliet Newson has joined as its new Director. Newson will fill the vacancy created by the departure of former director Halla Hrund Logadóttir in July, earlier this year. Juliet Newson comes to Iceland from the New Zealand geothermal industry and the International Geothermal Association, where she has been involved in tertiary-level energy education both in New Zealand, and internationally. Since 2011 Juliet has been a geothermal reservoir modeling engineer for Contact Energy Ltd, working in close co-operation with reservoir modeling researchers at the University of Auckland. Prior to 2011 she was the original co-organizer of the Postgraduate Certificate in Geothermal Energy Technology for the University of Auckland, New Zealand. 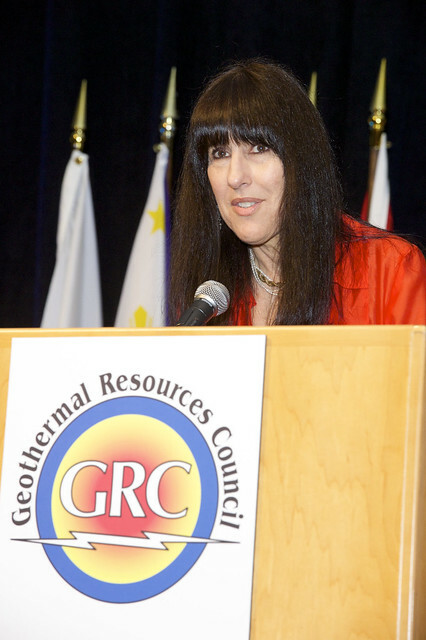 She has managed and delivered many other geothermal courses, including the Short Courses for the International Geothermal Association World Geothermal Congress 2015. 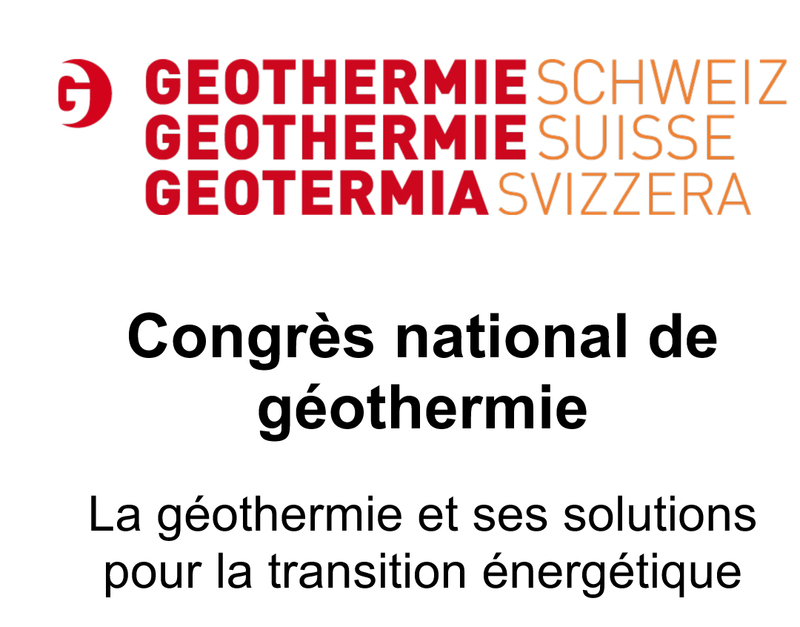 Cette année, les deux principaux évènements sur la géothermie (Journée romande et Journée professionnelle) s’associent afin d’exposer le panel de solutions qu’offre la géothermie dans le cadre de la transition énergétique. Le congrès aura lieu les 22 et 23 novembre 2016, à la HEIG-VD d’Yverdon-les-Bains, avec l’organisation d’un lunch en soirée et possibilité de dormir sur place. Une traduction simultanée en français/allemand et vice-versa sera assurée. Ormat Technologies expects to begin commercial operations in January 2017 for the first 110-MW phase of its Sarulla geothermal power plant in Tapanuli Utra, North Sumatra in Indonesia, Ormat CEO Isaac Angel said during a Nov. 8 company earnings call. Angel said the project is in the commissioning and “fine-tuning” stage, and commercial operation has been delayed briefly due to a work stoppage. Ormat, as part of an owners consortium with PT Medco Energi International, Itochu and Kyushu Electric, is developing the Sarulla project in three 110-MW phases. He added that drilling activities for the second and third phases are still going on. An exciting opportunity has become available for a geothermal Reservoir Engineer to work with the leading geothermal geoscience team in our Rotorua office. As a Reservoir Engineer you will plan and execute the surveillance program, optimize fuel supply and injection performance, perform resource forecasting, and prepare and implement reservoir management plans. In addition, you will perform geothermal field planning/evaluation, including field management to ensure long-term sustainable use. The White House has issued a report outlining how the United States could achieve deep decarbonization efforts by 2050, at the same time the nation's commitment to climate change efforts is being questioned worldwide due to a looming Trump presidency. The vision, unveiled at the United Nations climate conference in Morocco, shows the United States could reduce its carbon emissions by 80% below 2005 levels by 2050, largely by cutting emissions from the electric generating sector. China will boost the development of geothermal power in the next five years to reduce coal consumption and improve air quality, an energy official said on Thursday. In particular, China will promote the use of geothermal power in the Beijing-Tianjin-Hebei region to replace coal for heating to reduce carbon dioxide emissions and improve air quality, Li Yangzhe, deputy director of the National Energy Administration, told an international forum on geothermal power. Li said China will provide policy support to boost geothermal power exploitation and consumption during the 2016-2020 period. China is expected to more than triple its geothermal power consumption by 2020 to 72.1 million tonnes of coal equivalent from the current level.